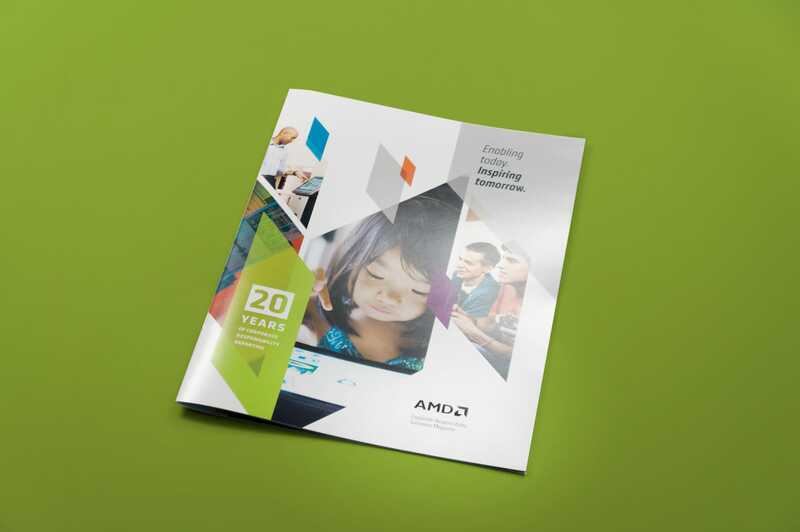 We were honored to partner with AMD for four consecutive years on their Corporate Responsibility Report. The main purpose of this book is to highlight their most important programs, annual activities and metrics in an easily digestible format. Along with the main report, including three language versions, Caliber created several regional inserts in English, Portuguese and Simplified Mandarin. 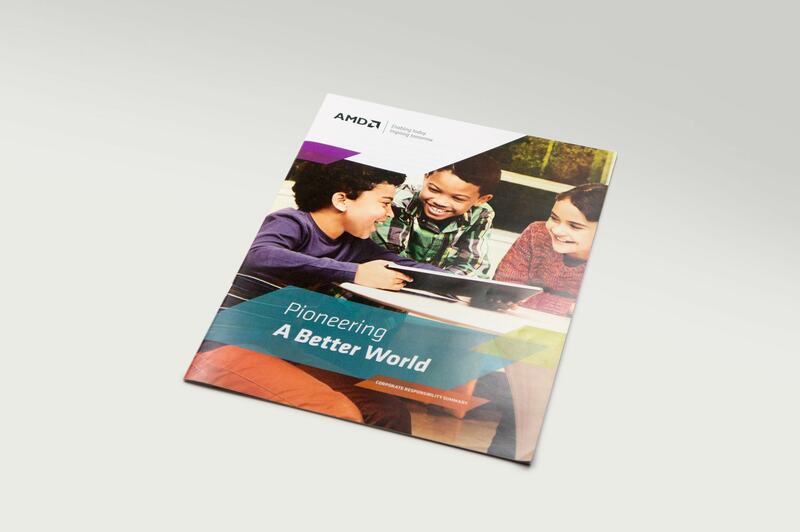 The final result was a cohesive set of materials, communicating that AMD is synonymous with innovation in any language. The project included one main report that included three language versions: English, Portuguese and Simplified Mandarin. In addition, regional inserts were created in English for Canada and Singapore, in Portuguese for Brazil, and in Simplified Mandarin for China.